NEWTOWN, Conn.—The National Shooting Sports Foundation® (NSSF®) has launched a new campaign called “You may be Surprised to know this about hunting” to connect and even surprise the non-hunting public with stories about improved wildlife populations and the conservation efforts of hunters. 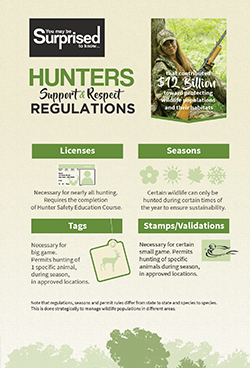 NSSF presents this social media campaign in a five-part infographic series that will re-introduce hunters and hunting to the public. With most people these days living in cities, suburbs and non-hunting households, many misperceptions of what hunting is and what hunting does, have developed. In response, this campaign works to explain hunting’s connection to the values of today’s socially and environmentally conscious culture. 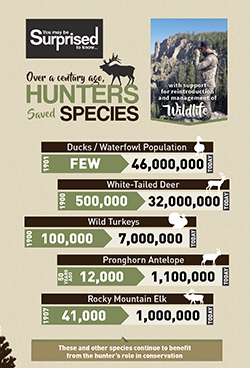 With Earth Day approaching and with people thinking more about the health of our planet, it seems appropriate to kick off with the infographic titled “You may be Surprised to know… hunters aid the environment” In order to explain that hunters and environmentalists alike fight habitat encroachment and help to conserve the health of our ecosystems, NSSF points out that hunters have contributed billions of dollars to wildlife conservation through a sustainable system of wildlife management. More than a century ago, when wildlife populations were depleted, hunters supported laws that placed excise taxes on purchases of firearms and ammunition and later on fishing, boating and archery equipment. Through these taxes, and also license fees, wildlife agencies received the necessary funds to acquire and maintain land. This land is set aside for the conservation of game and non-game species. Wildlife biologists survey and measure wildlife populations, habitat and food sources to determine how many animals can thrive in certain areas, and then help establish hunting regulations that combat overpopulation and allow time for species growth. This land is also made available for outdoor recreational activities such as hiking, kayaking, camping and more. The campaign recognizes the locavore movement and the fact long known to hunters that game meat is nutritious and healthful. NSSF highlights venison with double the iron, fewer calories, more protein and better fats than typical meats like lamb, beef, turkey and chicken, making it a truly healthy alternative. This campaign seeks to demonstrate that if you support the environment, preservation of land, animal conservation and personal nutrition, then you can support hunting. To view the full selection of infographics and to learn more about this campaign, go to nssf.org/infographics/. The campaign was created by the NSSF communications team working with intern Daphane Cassidy, an avid hunter and conservationist. Daphane has hunted and volunteered in South Africa, and has represented the U.S. as one of the few American Young Opinion members of The International Council for Game and Wildlife Conservation at the most recent “Hunting is Conservation” general assembly in Belgium. Participating in worldwide conservation efforts and seeing the benefits of hunting first-hand, Daphane wants to foster positive understanding and relationships between the hunting and non-hunting public. FEBRUARY 23, 2017, LARAMIE, WY – HIVIZ® Shooting System is excited to add the Yackley family of professional shooters to the HIVIZ pro staff. Husband Mark and wife Becky along with their three sons Tim (16), Sean (14) and Andrew (9) will proudly represent the HIVIZ brand at shooting events throughout the country. The “Yackley 5” are passionate, exceptional shooters that embrace the joy of the shooting sports, making them a perfect addition to the HIVZ team. To learn more about the Yackley family and to follow their success this shooting season, follow them on Facebook @yackley5. To learn more about the wide variety of shotgun, handgun and rifle sights that HIVIZ offers, visit us online at hivizsights.com. HIVIZ® Shooting Systems manufactures light-gathering fiber optic sights, tritium sights, painted epoxy sights, recoil pads, and accessories for the shooting industry. For more information, visit www.hivizsights.com or contact Lori Yunker at lori.yunker@hivizsights.com. Visit www.trijicon.com for the latest products and information. 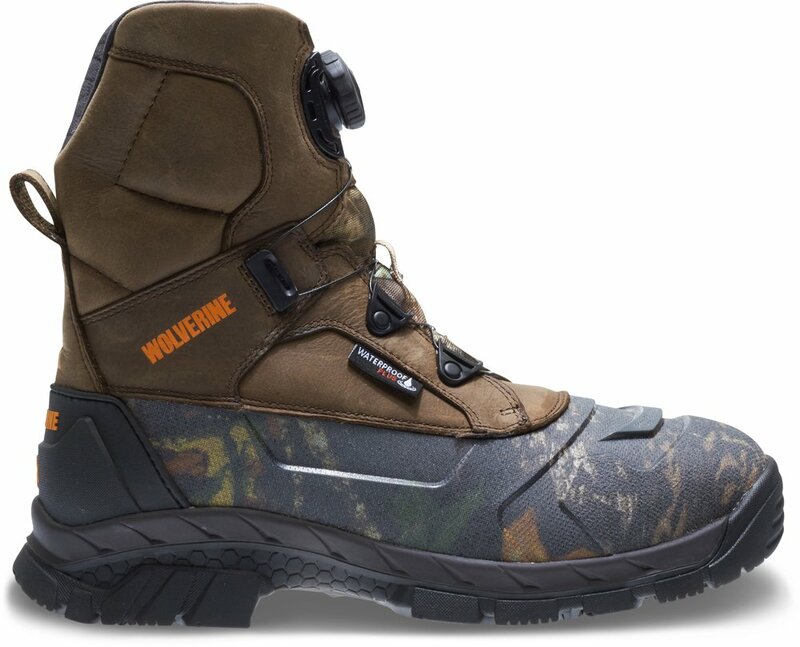 Wolverine examined every detail of design to create the ultimate outdoor boot offering the highest level of performance and comfort: The Vortex offers versatile performance in the most extreme environments in one rugged boot. The new design features Vibram Artic Grip for unparalleled grip on slippery, wet ice. The boot’s aggressive styling is paired with a premium leather upper and molded TPU shell for ultimate durability and easy clean-up, along with a Boa lacing system for a glove-like fit that’s easy to adjust on the fly. 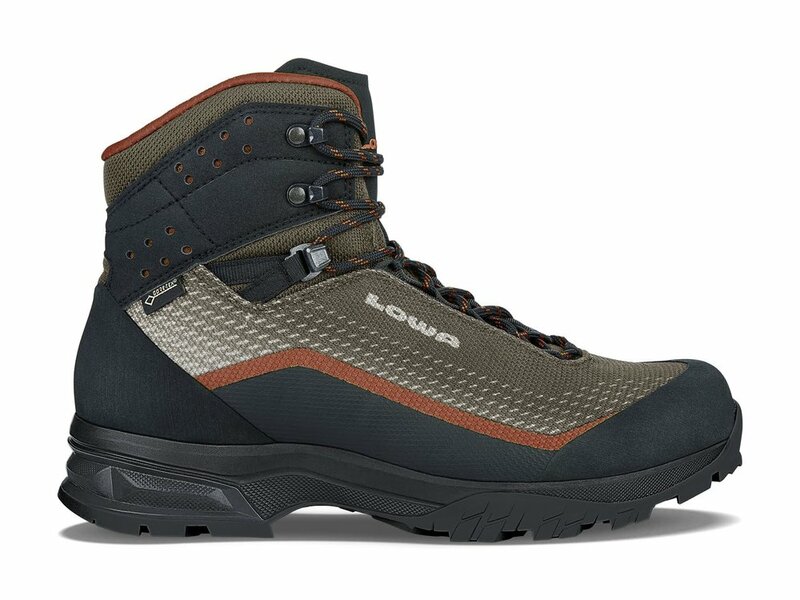 The boot's Wolverine EPX anti-fatigue footbed brings comfort closer to the foot for cushion and support, and a waterproof breathable membrane along with Thinsulate insulation ensure feet stay warm and dry. Available Fall 2017. Boa lacing system provides a glove-like fit, is easy to adjust on the fly, and is extremely durable. Full-featured, adjustable height bench is designed to meet the demands of heavy-duty reloading operations. WAUCONDA, Ill. (January 16, 2017) – Stack-On® Products is launching an Adjustable Height Pro Reloading Bench (Model #SORB-48), available in March of 2017. This professional-grade reloading bench is ready-to-assemble and can be delivered via UPS. Stack-On Products Company is the industry’s leading provider of security products for sportsmen, law enforcement and enthusiasts. 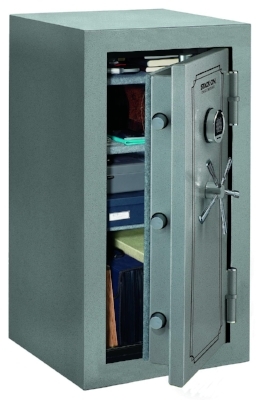 New Executive Safe is the latest addition to the line of Total Defense fireproof and waterproof safes. 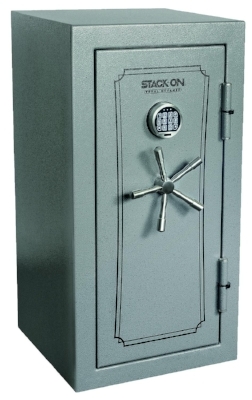 WAUCONDA, Ill. (January 16, 2017) – Stack-On® Products has added to its impressive line of waterproof and fireproof Total Defense Safes with Model #TD-40-GP-E, an executive safe that is available now. 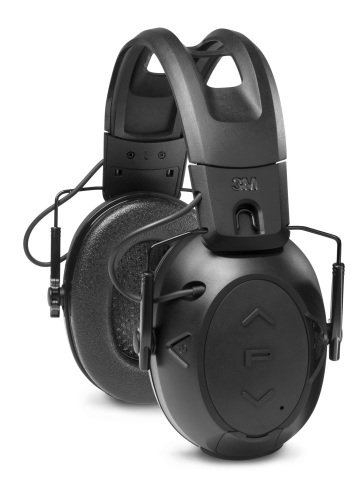 This new addition includes all of the features that have come to be expected of the Total Defense line. SPRINGFIELD, Mass. -- Thompson/Center Arms, American's Master Gunmaker®, today announced the launch of the company's new social media and digital campaign: #PeopleOfTC. Highlighted by compelling photography, personal stories and quotes, #PeopleOfTC is designed to celebrate the employees, heritage, products, outdoor lifestyle and partners that come together to make up the iconic Thompson/Center brand. Danielle Sanville, Brand Manager for Thompson/Center Arms, said, "Every T/C firearm that we build is a result of the dedication and passion of the people behind the brand. Across our company, in manufacturing, research, development, customer service, and sales and marketing, our employees and their passion for our products provide the key ingredient for these high performance, masterfully crafted firearms. We realized that our customers and partners who select our products for their adventures in the field, feel the same way. So we developed a campaign that will bring us all together, each providing an element in the story of craftsmanship and heritage that makes us all the #PeopleOfTC and America's Master Gunmaker. Social media is the perfect platform to broadcast these voices. Fans and users are encouraged to locate the interactive campaign on a variety of social media platforms, as well as a website where the company will feature its fans and customers and provide them with an opportunity to engage with the brand through events including contest entries. Smith & Wesson Holding Corporation (NASDAQ Global Select: SWHC) is a provider of quality products for shooting, hunting, and rugged outdoor enthusiasts in the global consumer and professional markets. 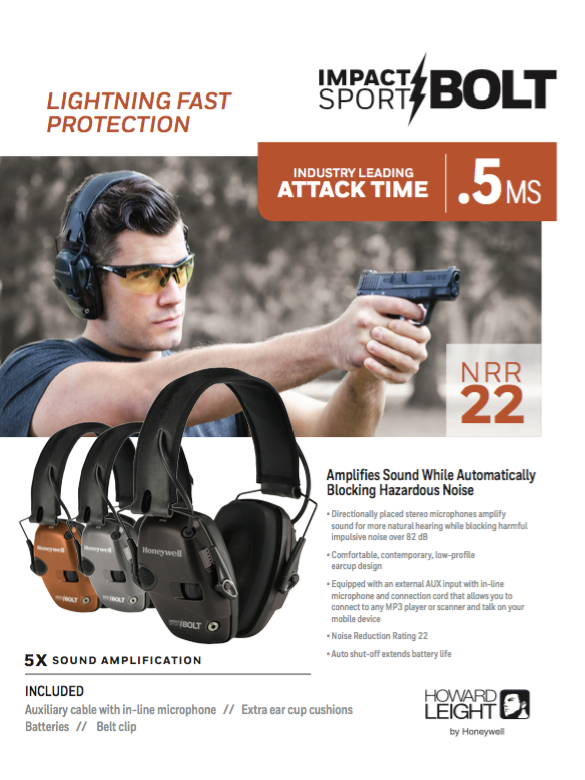 The Company reports two segments: Firearms and Outdoor Products & Accessories. Firearms manufactures handgun and long gun products sold under the Smith & Wesson®, M&P®, and Thompson/Center Arms™ brands as well as providing forging, machining, and precision plastic injection molding services. Outdoor Products & Accessories provides shooting, hunting, and outdoor accessories, including reloading, gunsmithing, and gun cleaning supplies, tree saws, vault accessories, knives, laser sighting systems, tactical lighting products, and survival and camping equipment. Brands in Outdoor Products & Accessories include Smith & Wesson®, M&P®, Thompson/Center Arms™, Crimson Trace®, Caldwell® Shooting Supplies, Wheeler® Engineering, Tipton® Gun Cleaning Supplies, Frankford Arsenal® Reloading Tools, Lockdown® Vault Accessories, Hooyman® Premium Tree Saws, BOG POD®, Golden Rod® Moisture Control, Schrade®, Old Timer®, Uncle Henry®, UST™, and Imperial™. For more information on Smith & Wesson, call (800) 331-0852 or log on to www.smith-wesson.com. MIAMI – May 19, 2016 – Taurus® rang in the new year by celebrating the 10th anniversary of one of the most innovative revolvers in the industry, the Taurus Judge®. Celebration of this milestone began earlier in the year with the NWTF Convention and Sport Show in Nashville where The Judge® was the showcase at the Taurus booth. To honor this monumental firearm and its evolution throughout the decade, planned events, sweepstakes, promotions and other activities are taking place throughout the remainder of the year. The Taurus Judge, with its versatile 410 shotshell/45 Colt platform, captured the attention of shooting enthusiasts beginning in 2006 and continues to gain momentum in the industry today. To continue celebrating the success of The Judge, firearm enthusiasts can enter the “What are Legends Made of” sweepstakes at www.taurus-judge.com/tour. The sweepstakes begins May 19, 2016 and runs to December 31, 2016. One grand prize winner will be walking away with a trip for two to the Taurus headquarters in Miami, a private tour of the factory, range time with champion shooter Jessie Duff, $500 Visa® gift card, 5-year NRA membership, and a Taurus T-shirt and hat. Nine second place winners will receive a Taurus T-shirt, hat, $100 Visa gift card, and a 1-year NRA membership. Join Taurus at the NRA Annual Meetings & Exhibits May 19-22, 2016 where attendees can stop by the Taurus booth (#2674) to purchase a special-edition Taurus Judge T-shirt or for an opportunity to win one during the “flash giveaways” which will be announced on Taurus’ social media pages. Fans can check out Taurus on Facebook, Twitter and Instagram or follow the #WhatLegendsAreMadeOf hashtag to learn more about the sweepstakes, join the celebration and hear about exciting offers throughout the year. Taurus personalities Jessie Duff, Fred Eichler and Chad Belding as well as YouTube channels TWANGnBANG, GY6vids and others will be posting via social media in honor of The Judge. Viewers should like/follow each partner to get up-to-date information about promotions and events as well as firsthand testimonies about this legendary revolver. More information on the complete Taurus lineup is available at www.taurususa.com. Headquartered in Miami, Taurus Holdings, Inc. owns or represents some of the most recognized and valued brands worldwide, including Taurus®, Rossi®, and Heritage™. Known as an innovator within the firearms industry, Taurus Holdings is a leader offering quality and value-packed firearms to the United States and Canada. Taurus International services all Taurus brand firearms under the LIFETIME REPAIR POLICY™ as well. For additional information about Taurus, visit www.taurususa.com. High-resolution images are available atwww.taurusdownloads.com. NEWINGTON, N.H. (May 10, 2016) SIG SAUER® Inc. and SIG SAUER Electro-Optics are pleased to introduce the LIMA5 and LIMA7 Laser Sights to their state-of-the-art line of optics and optics accessories. The LIMA5 and LIMA7 offer some of the most advanced laser sighting features available today. The LIMA5 Laser Grip Module has been designed to fit perfectly on the SIG P320 and P250 pistol platforms and bring state-of-the-art laser targeting in a package that is virtually invisible to the operator. Built with the same material as the standard polymer frames and textured to match, the amazing LIMA5 seamlessly integrates both a red or direct green high-quality and high-efficiency laser module for extreme accuracy when it counts. It is powered by a Lithium 1/3n battery in the palm swell, routed with an advanced flex circuit through the trigger guard to an intuitive activation button on the leading edge of the grip, and has a laser targeting module incorporated into the dust cover area of the pistol. 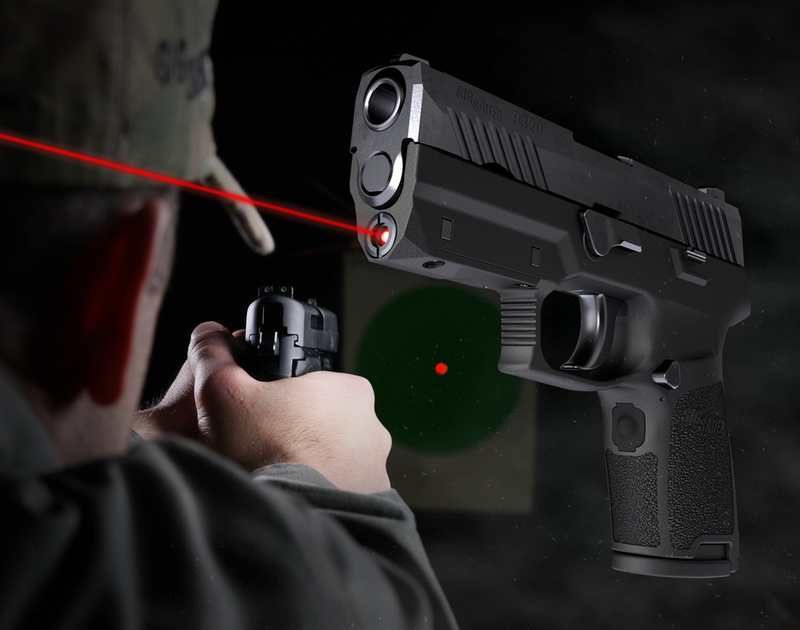 The LIMA7 red and green Laser Fore Grips are the most advanced, low-profile rail-mounted laser sights in the industry. LIMA7 lasers mount directly to any Keymod rail and mount to 1913 rails with an adapter. The centrally located finger-actuated switch supports ambidextrous use. 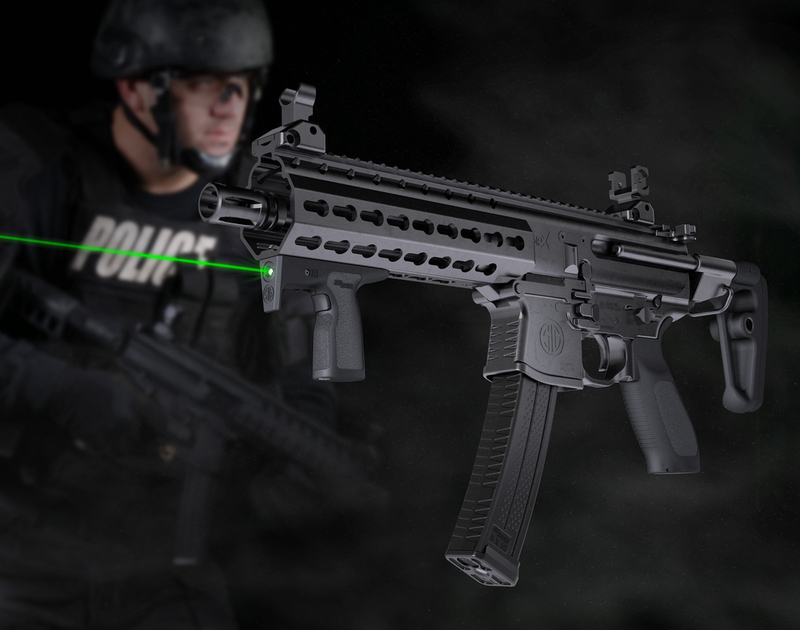 Direct green or red lasers are used for industry-leading runtime in a compact, CR123 Lithium powered laser sight. The forward portion of the grip doubles as a hand stop. For components not included under the SIG SAUER® Infinite Guarantee™, this warranty covers any defects in materials and workmanship in the electronic and Tritium components of illuminated riflescopes/sights, pistol sights, electronic sights, flashlights, lasers, binoculars, spotting scopes, and rangefinders. This warranty lasts for five years from the date of manufacture. If, during that five-year period, these products are found to have electronic or Tritium component defects in materials or workmanship, SIG SAUER will repair your product, at no charge to you. If we cannot repair your product, we will replace it with a product in perfect working order of equal or better physical condition. This warranty gives you specific legal rights, and you may also have other rights which vary from state to state. SIG SAUER, Inc. is a New Hampshire-based weapons systems provider leading the industry in American innovation, ingenuity, and manufacturing. SIG SAUER® brings a dedication to superior quality, ultimate reliability, and unmatched performance that has made it the brand of choice among responsible citizens, and many of the world’s most elite military, government, and law enforcement units. As a complete systems provider, SIG SAUER offers a full array of products to meet any mission parameter, from handguns and rifles to silencers, optics, ammunition, accessories, and airguns. The largest member of a worldwide business group of firearms manufacturers that includes SIG SAUER GmbH & Co. KG in Germany and Swiss Arms AG in Switzerland, SIG SAUER is an ISO 9001: 2008 certified company with approximately 1,000 employees. For more information on SIG SAUER, any of its products, or the SIG SAUER AcademySM, log on to www.sigsauer.com. May 2016 - BEAVERTON, Ore. — Leupold & Stevens, Inc., is pleased to announce that the Leupold Carbine Optic® (LCO®) has been selected by the Fishers, Indiana, Police Department as the agency’s new carbine-mounted red dot system. After rigorous testing, the LCO proved itself to be the superior choice as the Fishers PD looked to select a new optic for its long guns. Lightweight, rugged and offering an outstanding field of view, the LCO was the clear-cut choice for the agency. Leupold’s cutting-edge coatings deliver a crisp, bright 1-MOA dot, no matter the light conditions. The design places all of the controls down out of the field of view, leaving nothing in the way of the operator’s vision. The result is a bright dot with a true battlefield of view, meaning the operator can see any threat from any angle. For more information on Leupold products, please visit us at www.leupold.com. Join the discussion on Facebook, www.facebook.com/LeupoldOptics, on Twitter at www.twitter.com/LeupoldOptics or on Instagram atwww.instagram.com/LeupoldOptics. Founded in Oregon more than a century ago, Leupold & Stevens, Inc. is a fifth generation, family owned company that designs, machines and assembles its riflescopes, mounting systems and tactical/Gold Ring™ spotting scopes in the USA. The product lines include rifle, shotgun, handgun and spotting scopes; binoculars; rangefinders; mounting systems; and optical tools, accessories and Pro Gear. SEDRO WOOLLEY, Wash. (April 18, 2016) -TruckVault Inc., the world's leading manufacturer of secure in-vehicle storage solutions, offers a full suite of customizable models designed specifically for the 2016 Ford Explorer Police Interceptor model. One of the most popular design features is TruckVault's unique Lift System. The design gives full access to the vehicle's spare tire while providing law enforcement professionals with a safe and secure storage solution, ensuring their gear always ready for duty. "The importance of lockable in-vehicle storage has never been more prevalent. Police officers are increasingly becoming targets of crime, including theft," said TruckVault Sales and Marketing Director Don Fenton. "Additionally, the duties of police officers are changing; officers are now cross-trained for many different roles and need to carry higher-level weapons in their vehicles. These weapons need to be secured and out of sight while not in use - yet handy." For more than 20 years, TruckVault has been building secure in-vehicle storage solutions for sportsmen, law enforcement, and commercial use. TruckVault has been recognized throughout the years as a leader in firearms safety and as a producer of top-quality products, including being granted the shooting Industry Academy of Excellence Award for Accessory of the Year in 1999 and Safety Product of the Year in 2004 and 2006. In 2008, TruckVault was awarded the Cygnus Innovation Award. For more information go to www.truckvault.com. Paso Robles, CA – Leupold Optics, known for over a century throughout the industry as the leader in hunting and shooting optics, has teamed up with Weatherby and their Women of Weatherby program to offer optics advice and recommendations to first-time outdoorswomen and seasoned hunters alike. “As women, we support each other and share stories and advice on what gear works for us. At Leupold, I can use these insights to help educate women on the advantages of our products and help them not feel intimidated.” Says Leupold Marketing Program Manager, Riza Lesser. “If I can help a future hunter make educated decisions when shopping for hunting optics or accessories, then it’s time well spent. Women afield share a bond and sense of camaraderie and it’s our duty to help spread the joy of hunting with all outdoor enthusiasts, male or female.” Weatherby and Leupold will combine experience and advice on social media, and on WomenOfWeatherby.com, sharing product recommendations, hunting strategies, and useful stories to both inspire and inform anyone that plans on hunting in the near future. Media Contact: Justin Moore - Weatherby Inc. Founded in 1945, Weatherby, Inc.’s line features the distinctive WBY-X™ products as well as the popular Vanguard® and legendary Mark V® rifles (production and custom); Threat Response® shotguns; Weatherby Shooting Systems™ Rifles; over/under, semi-auto and pump shotguns; premium ammunition; and shooting accessories. For more information, go to www.weatherby.com. The company is based in Paso Robles, Calif., and invites all hunters and shooters to visit its free online community at www.weatherbynation.com or Facebook page at www.facebook.com/Weatherbyinc. Follow @weatherbyinc on Twitter. Over forty-four years ago, on February 6, 1971, astronaut Alan Shepard, Jr. hit two golf balls on the Moon. People have long speculated as to the brand of golf balls which remain on the Moon. Today, we know that those golf balls bear the famous Daisy logo. Astronauts were permitted to bring personal items on missions and Apollo 14 commanded Shepard brought along two golf balls and a six iron head. In a video on display at the Daisy Airgun Museum in downtown Rogers, Arkansas, Shepard is shown taking several clumsy one-handed swings (due to the limited flexibility of the EVA suit) using that head affixed to a lunar excavation tool handle. Jack Powers joined Daisy in 1960 and served as a senior public relations executive for over twenty years. It was Powers who made the suggestion that the Apollo 14 crew play golf on the moon using Daisy golf balls. The autographed Apollo mission photos were discovered in the attic of a home owned by Powers’ family. Contact with heirs of the estate resulted in the museum’s acquisition of the photos along with an interview which divulged the long-held secret of Daisy golf balls on the Moon. Earlier in his career, Jack Powers had taken a new job as Executive Director of the Sport Fishing Institute in Washington, D.C. He and his family moved into a townhouse which was one of six identical townhouses. One evening Jack came home from work and mistakenly entered the wrong townhouse. His abrupt introduction to the residents, Albert M. (Al) and Dee Chop, began a lifelong friendship. Al Chop served as public information officer for the Air Force’s “Project Blue Book” which gathered and studied information about UFO sightings. Al eventually was the subject of a 1956 documentary called “UFO”. He and Jack Powers remained friends as Jack became a senior executive for Daisy and Al applied his public relations skills at NASA. Al’s voice could sometimes be heard from mission control during a space launch. Alan Bartlett “Al” Shepard, Jr. (November 18, 1923 – July 21, 1998), in 1961, became the second person and the first American to travel into space. It was ten years later, in 1971, that Shepard commanded the Apollo 14 mission, became the fifth and oldest person to walk on the Moon and the only person to play golf on a surface other than earth. The display of autographed Apollo Mission photos, video and Victor Daisy golf ball, circa 1971, are now on display at the Daisy Airgun Museum, 202 West Walnut, Rogers, Arkansas and available for viewing Monday through Saturday 9:00 am to 5:00 pm. The Daisy Airgun Museum is a 501c3 corporation, dedicated to the preservation of the rich heritage of Daisy airguns and the operation of a museum, tourist attraction and gift shop. The museum features displays of airguns and related artifacts and offers audio and self-guided tours for individuals and guided tours for groups.